People with Down syndrome can bring many skills and strengths to the workplace, but often remain overlooked by employers. At EPIC, we’re working to change society’s expectations of people with Down syndrome by showing that disability is no barrier to employment. It can be difficult to know where to start when applying for a job. If you are a person with Down syndrome, the below tips can help you find and keep a job you love. Do you like to work with other people, or on your own? Would you like to work inside or outdoors? Once a person with Down syndrome knows their strengths and abilities, and what they want to do at work, the next step is to think about building job skills. 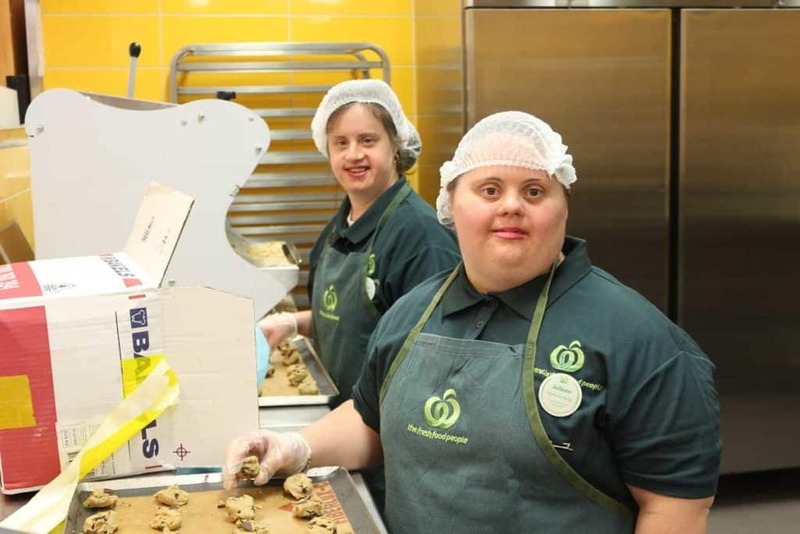 Getting work experience in real workplaces is a great way for people with Down syndrome to prepare for paid employment. 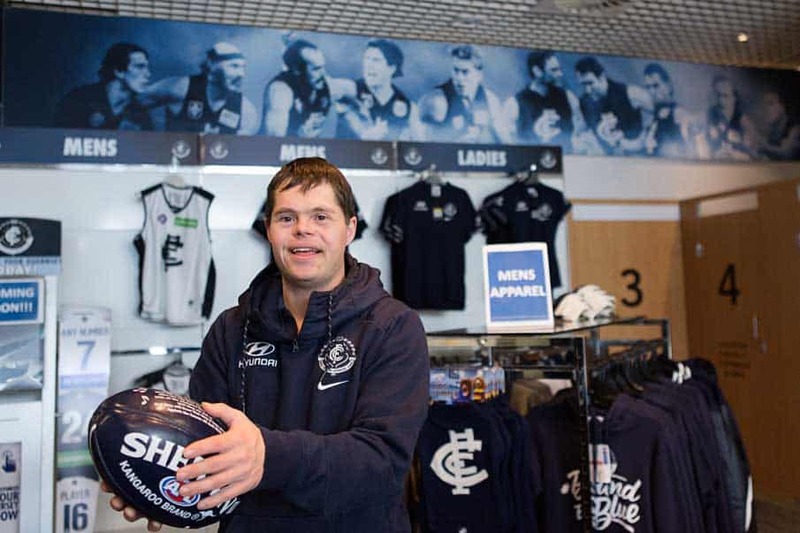 By using your National Disability Insurance Scheme (NDIS) package to undertake work preparation, a person with Down syndrome can get familiar with the routines and responsibilities of being an employee. Work experience can also help a person with Down syndrome to discover what they’re good at and where they might like to work. Job interviews can be daunting, especially for people with Down syndrome. Sometimes a person with Down syndrome may have difficulty with communication and social skills, but this doesn’t mean they don’t have the skills or abilities to succeed in the role. Role-playing and practice interviews. Try role-playing an interview situation to practice eye contact and listening. Dress for success. Wearing a clean and professional outfit can help people with Down syndrome to feel confident and ready for a job interview. Take a support person. It is ok for a person with Down syndrome to have a friend, family member, or employment consultant to provide support during an interview. It’s important to let the employer know in advance. Interviews can be adapted to give people with Down syndrome the best opportunity to demonstrate their skills and abilities. 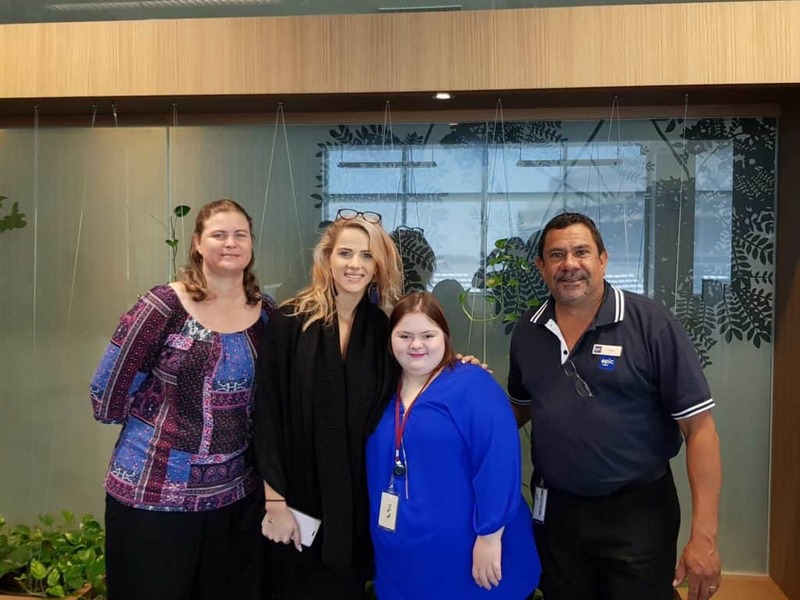 EPIC regularly works with businesses to help them understand how to make the interview process more comfortable for people with Down syndrome. Each person with Down syndrome is unique and has their own life experiences, attributes and preferences. With the right support, people with Down syndrome can find great jobs and contribute to their local community. On-the-job support can help a person with Down syndrome to become more confident in the workplace. Some people only need a little support, while others may need a lot; the most important thing is to understand the individual needs of each person with Down syndrome to help make the new role a success. Once a person with Down syndrome has a job, we provide hands-on support for as long as we’re needed – that could be months, years, or longer. People with Down syndrome have a greater chance of success in the workplace if they are given tools and support to help them on their journey. It is important to discuss what tools and mechanisms the person with Down syndrome needs, prior to them commencing work. This means they can be more confident in entering a new environment. EPIC works closely with the employer to ensure that the person with Down syndrome has the tools they need, feels supported in their role, and is in an environment where they can thrive. Employers can make reasonable workplace adjustments that help the person with Down syndrome succeed in their new role. Mentors, work buddies, or support workers can help the person with Down syndrome to transition into employment. They can also oversee how the person with Down syndrome is progressing, and help them with questions and concerns. People with Down syndrome often benefit from having tasks broken down into small steps with clear instructions. By using the ‘show and tell’ method of training, a person with Down syndrome can work alongside their support person, first by watching and learning, and then by doing the task themselves. With guidance, encouragement and practice, a person with Down syndrome can become more confident and independent at work and in their life outside of work too. It is important for people with Down syndrome to feel supported in their professional and personal lives. Support groups and social clubs offer a safe and encouraging space for people with Down syndrome to make new friends and connect with their community. Some social groups get together over a meal, do training together, or practice a common hobby. If you are a person with Down syndrome and would like to build your support network, EPIC can help. We help people with Down syndrome to find and keep a job they love. We support them throughout their employment journey until our assistance is no longer needed, and we also support their employers to foster successful, sustainable employment outcomes. More than 1 in 10 of our job seekers has an intellectual disability. We understand the unique needs of people with Down syndrome and we have a wealth of experience in supporting them to find and keep jobs. No matter how people with Down syndrome access our services, we support them to build the skills they need to find and keep a job. We work together to discover their interests, strengths and abilities. We also identify any skills gaps and can offer people with Down syndrome nationally recognised training through EPIC Education Assist, our Registered Training Organisation (RTO ID 41218), or through other RTOs if needed. We know what it takes to help a person with Down syndrome find a job they love. If you would like to find out more about our services, contact us today. EPIC worked with Jarrod to find a role where he would thrive, and he's become a valued member of the team.